FIIA cooperated with the Office of the President of the Republic of Finland to organise Kultaranta Talks in Naantali 16—17 June. 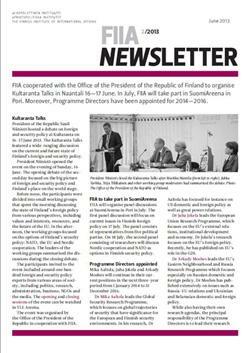 In July, FIIA will take part in SuomiAreena in Pori. Moreover, Programme Directors have been appointed for 2014—2016.